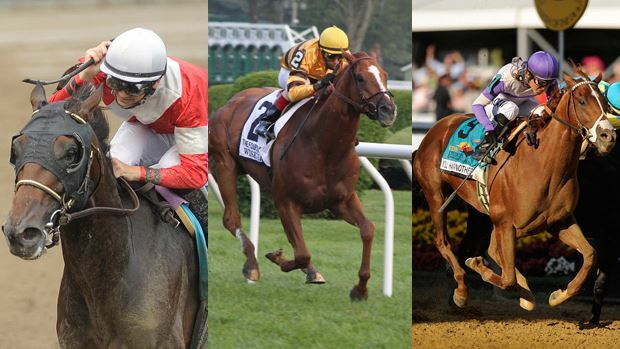 The National Thoroughbred Racing Association, Daily Racing Form and the National Turf Writers And Broadcasters today announced the finalists for 2012 Eclipse Awards, recognizing excellence in Thoroughbred racing. Winners in all 17 horse and human categories will be announced at the 42nd annual Eclipse Awards, presented by Daily Racing Form, The Stronach Group and the Breeders’ Cup on Saturday evening, January 19 at the Gulfstream Park in Hallandale Beach, Fla.
Of the 272 eligible voters representing the NTRA, Daily Racing Form, and the NTWAB, 254 individuals (93.38%) took part in this year’s voting. Finalists were determined in each category by voters’ top three selections, using a 10-5-1 point system. Eclipse Award winners are determined solely by first place votes.